Hand spun copper bowl from .040 copper. Design Fern Series, unleaded enamel. 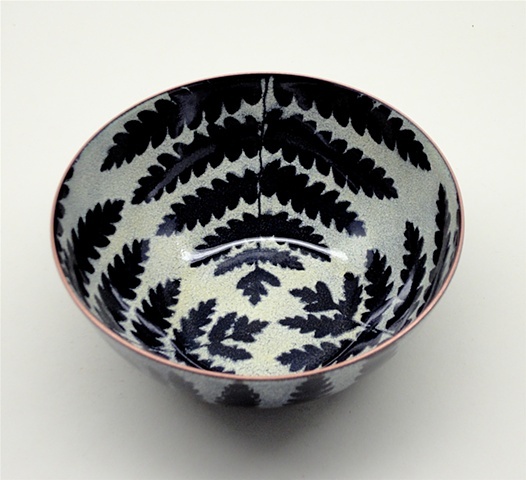 This bowl is currently for sale, and still at the studio. Please call should you have questions.